Older adults are at high risk for falling not only because of physical issues but because of surroundings in and around the home. That’s why it’s important for you to have a fall risk assessment each year. Over the past decade, we’ve seen a significant increase in the number of older adults dying from falls, per research from the Centers for Disease Control and Prevention (CDC). 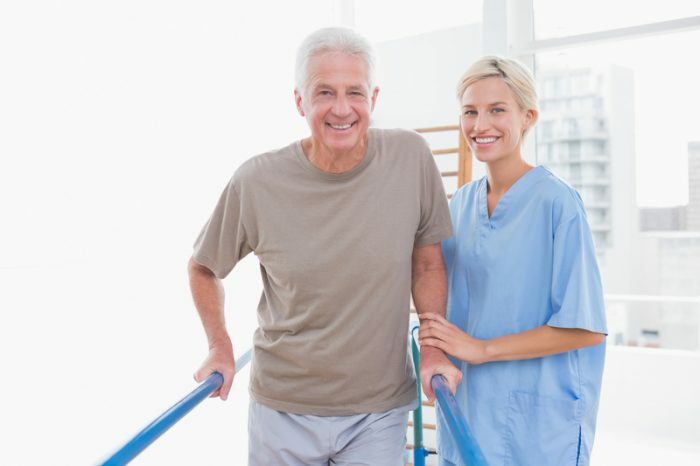 Falls are also a leading cause of nonfatal injuries in seniors. People are living longer, but the increased longevity makes us more susceptible to frailty and other health conditions that increase the risk of falls. The elderly are also more likely to take medications that raise their fall risk. Falls, however, are preventable, even if you’re affected by risk factors. 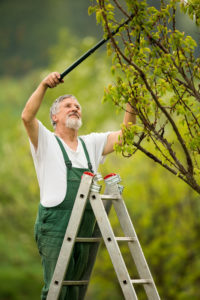 In fact, research shows that a fall risk assessment can reduce a senior’s risk of falling by 24 percent, if identified risk factors are tackled. The American Geriatrics Society recommends that all people age 65 years and older have a fall risk assessment every year. An assessment is included in the “Welcome to Medicare” examination. And the CDC has developed an algorithm to guide fall risk assessment screening and interventions. The algorithm is part of the CDC’s STEADI (Stopping Elderly Accidents, Deaths, and Injuries) program. The STEADI algorithm isn’t aimed only at seniors at high risk for falls; it also calls attention to the fact that older adults who might be considered low risk for falls can benefit from education about fall risk factors and from advice on what they can do to avoid falls. What Does a Fall Risk Assessment Involve? A fall risk assessment will clarify whether you have fallen in the past and ask about the circumstances in which you fell. Your doctor will also want to know what medications you’re taking, since some raise the risk of falls. A fall risk assessment also evaluates your strength, balance, and gait (your manner of walking), your cognition, and how well you function. It also considers possible fall risk factors in and outside your home. Key information in a fall risk assessment is your history: Have you fallen in the past? If so, how often? You’ll be asked what you were doing, where you were, and what time of day it was when you fell. Your doctor also will want to know whether you were able to get up, whether you injured yourself, and whether your required medical treatment. Plus, you’ll be asked what type of shoes you were wearing (since footwear can contribute to falls); whether you wear glasses (and were wearing them when you fell); and whether you use an assistive device such as a cane (and if you were using it when you fell). One of the main problems with medications taken by the elderly is that they cause orthostatic hypotension (also known as postural hypotension)—a sudden drop in blood pressure when you stand up after reclining or sitting for any length of time. Orthostatic hypotension can result in dizziness or even cause you to faint. If you take drugs in any of these medication classes, it’s important that you don’t stop taking them without consulting your doctor, even if you’re concerned they may cause you to fall. It may be that any fall-associated adverse effects, such as dizziness or drowsiness, may be reduced by lowering the dosage of medication or switching to a different drug. It’s a good idea to regularly update your primary care doctor about any and all medications you’re taking, particularly if you see more than one specialist and have been prescribed drugs by several doctors. Your primary care doctor can ensure that none of the drugs you take interact and/or duplicate each other, and advise you on whether you’re taking any drugs unnecessarily. Timed up-and-go (TUG). For this test, you’ll be asked to stand up from a chair that has armrests (if you typically use a cane or walker, you’ll be able to use it for the test), walk about 10 feet, and then turn and return to the chair to sit down. If it takes you longer than 12 seconds to do this, you are considered at high risk of falling. 30-second chair stand. You’ll be asked to stand up from a chair that does not have armrests. Being unable to do this signals a greater fall risk. Four-stage balance test. Your fall risk assessment will evaluate your balance by having you stand in four different positions, each of which is slightly more challenging in terms of balance. As an example, being unable to stand on one leg for 5 seconds without assistance has been shown to predict more serious falls that are more likely to cause injuries. Studies suggest that older adults with impaired cognition are more likely to fall, so your fall risk assessment also will include cognitive testing. Cognitive tests include the Mini-Mental State Examination, and the Mini-Cog. You may be more likely to fall if you find it difficult to perform simple activities of daily living, such as dressing, showering, lifting objects, bending and reaching, and ascending descending and stairs. Your doctor can arrange for an occupational therapist (OT) to visit you at home to carry out a fall risk assessment of your environment. One of the main things the OT will be looking for is tripping hazards, which include throw rugs, inconveniently placed furniture, and power cords running across areas of your home where you frequently walk. He or she also will be on the lookout for slippery floor surfaces and inadequate lighting, particularly at the top and bottom of stairs. Furthermore, the OT will assess your immediate outside environment, taking note of uneven ground and cracked pavement and walkways. Checking what kind of shoes you wear is important, too. Keep in mind that flat shoes with a rubber “grip” sole are the safest option. If you wear slippers indoors, choose options that have a rubber sole. You should view your fall risk assessment as a collaborative exercise with your doctor and any other specialists who are involved. You are looking to learn from the assessment: Learn what health-related and environmental issues might put you at risk for falls, and learn how best to address your fall risk factors in order to stay as safe as possible. There are many things you can do to reduce your risk of falls, including “fall-proofing” your home, being more aware of fall hazards in your community, engaging in exercises to improve your strength and balance, and following your doctor’s advice for boosting your bone strength if you’re at especially high risk of fall-related injuries due to the bone-thinning disease osteoporosis. anti inflammatory, anti inflammatory drugs, antidepressants, blood pressure, blood pressure medications, bone, bone strength, bone thinning, dizziness, exercise, faint, health, hypotension, mortality, nsaids, osteoporosis, report, strength.